Unlimited Video chat and Video call time. 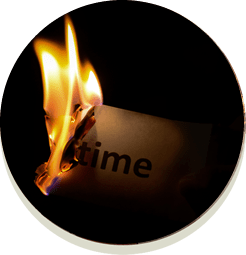 Unlimited live 1-to-1 Videos sessions. Unlimited Public and Password Protected Rooms. Sound and Video. 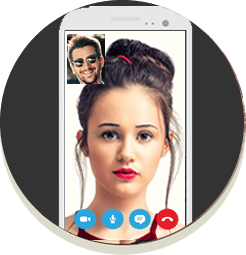 CamVoice is the best video chat delivering unparalleled quality of video and crystal clear sound. Make your online experience pleasantly memorable. 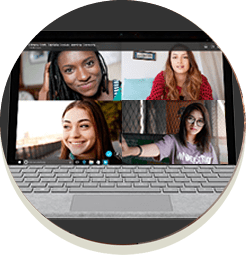 Window sizes, watch up to 5 live video chat windows in the same time. Multiple Rooms - Join up to five rooms at the same time. 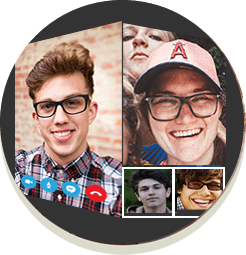 Setting up group video chats with your friends has never been easier. Make unlimited video calls and stay in touch with your loved ones! 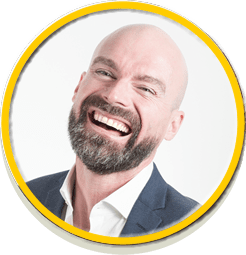 Get connected instantly, no waiting, no ads, no interruptions. Guaranteed! Reach your friends in any country of the world, at any time. Coloured nickname and Top Members list placement.